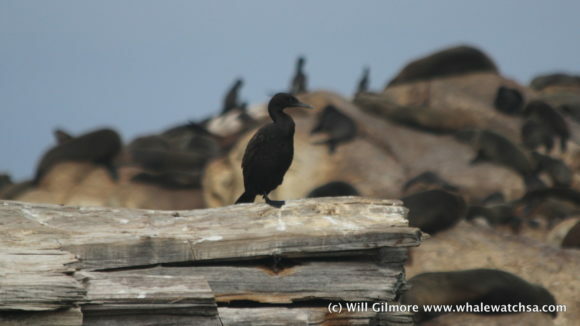 A great day at sea filled with great sightings of our local wildlife. Our first encounter was a brief one, we spotted four Indian ocean humpback dolphins in the swell near the cage diving boats. Unfortunately, we were situated in quite a choppy area and as safety comes first, we had to move out of the area. The next stop was at the shark vessel where we saw two different species of shark, a few bronze whalers and a very small great white shark. 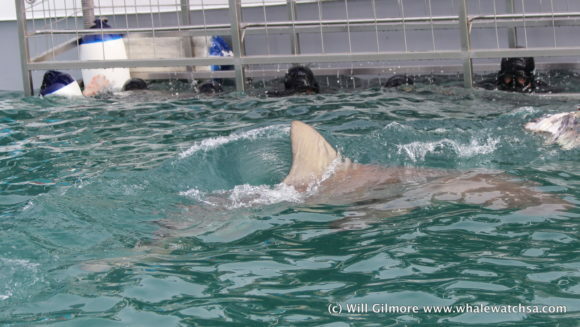 The white shark was almost mistaken for a bronzie by our crew due to the size. With two out the big 5 completed we set off for the island to spot some penguins. On the island, we saw some sitting around a few boulders including a couple of chicks. 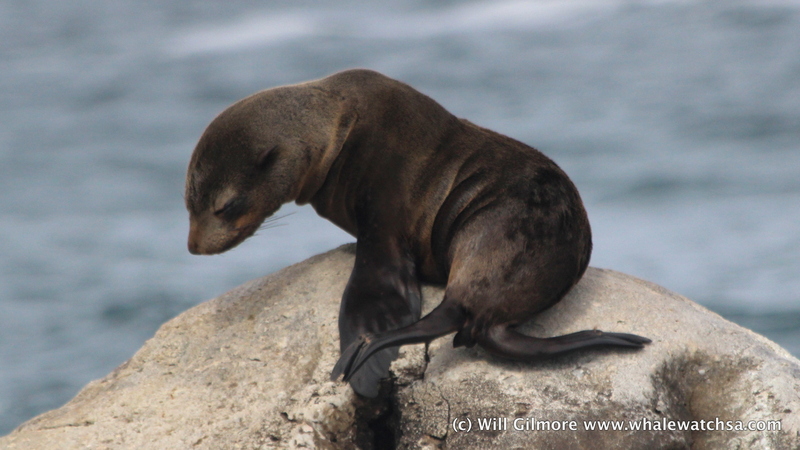 We then made the short journey around the island into shark alley to greet our colony of cape fur seals. 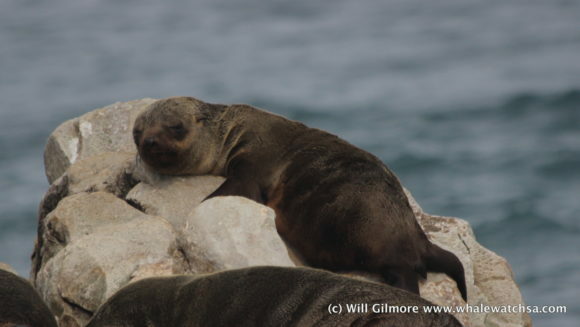 The seals were plentiful on the island and we had great fun watching them in and out of the water. 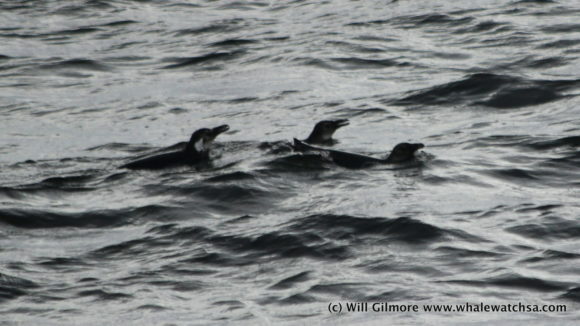 Before we headed home, we cruised through the deep-sea spotting quite a few sea birds. 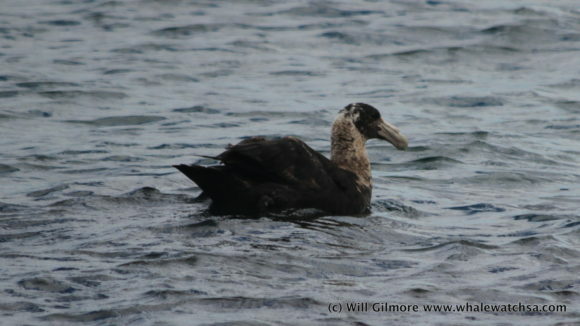 These included, sooty shearwaters, giant petrels, plenty of cormorants and even the beautiful cape gannets.